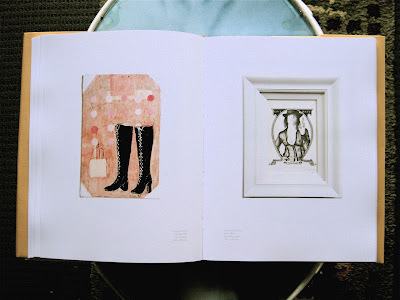 THREE PAGE SPREADS FROM THRILL ME EVERY DAY: THE CELIA DUNLOP COLLECTION PUBLICATION. THIS CATALOGUES FEATURES BEAUTIFUL REPRODUCTIONS OF THE MANY WORKS IN THE COLLECTION, SUPPLEMENTED WITH AN INTRODUCTION BY HAMISH DUNLOP AND AN ESSAY BY JILL TREVELYAN. IT IS AVAILABLE FOR PURCHASE HERE AND PROCEEDS GO TO THE MARY POTTER HOSPICE. 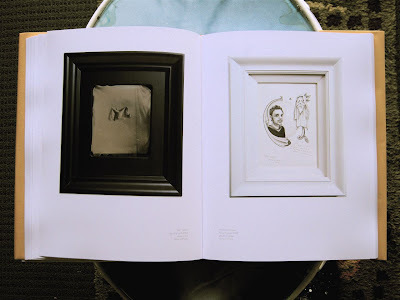 MY WORKS FEATURED IN THE COLLECTION ARE FROM MY WHITEWORLD SERIES OF DRAWINGS. BEING THE OFFICIAL DAY OF REST, I THOUGHT I MIGHT USE SUNDAY POSTINGS TO DISPLAY THE CONDUITS OF MY WORK. BELOW IS A PRINT THAT RELATES TO THREE OF MY RECENT PAINTINGS AND DRAWINGS AT MARK HUTCHINS GALLERY. ALL THIS STUFF DWELLS ON MORTALITY AND THE REMINDER OF 'THE END'. THE TEXT BELOW THE IMAGE IS IN THREE PARTS (LIKE THE TEXT IN THE THREE CARTELA IN MY WORKS) AND RELAYS INFORMATION TO THE READER TO MEDITATE ON WHAT THEY'VE DONE IN THEIR LIFE (EITHER POSITIVE OR NEGATIVE), WHAT WILL BE COME OF THEM DUE TO THEIR ACTIONS AND, AT THE END, WHAT YOU NEED TO BE MINDFUL OF TO BE A GOOD HUMAN BEING. IN MY VERSIONS, I'VE TAILORED THE TEXT TO DEAL WITH CONTEMPORARY ISSUES OF THE ART GAME/BUSINESS, WHATEVER YOU WANT TO CALL IT AND THE DIFFICULTIES OF BEING IN IT,BUT NOT OF IT. 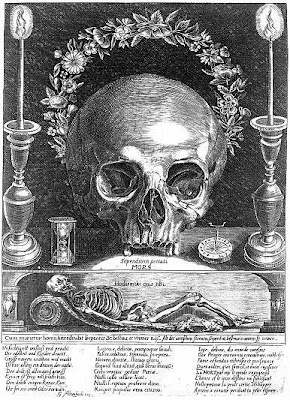 I'VE BEEN COLLECTING VERSIONS OF THE IMAGE BELOW WHICH WERE REASONABLY COMMON IN THE BAROQUE 1700'S. SO FAR I HAVE SIX, BUT AM CONSISTENTLY LOOKING FOR MORE TO ADD TO THE SET. 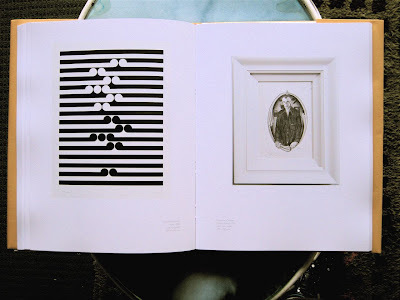 I FIND THAT COLLECTING IMAGES OF A SIMILAR THEME HELPS ME RECOGNISE THE BIG PICTURE OF HOW THESE IMAGES AND SYMBOLS FIT INTO THE PSYCHE OF THAT PERIOD.